Makeup and beauty !!! 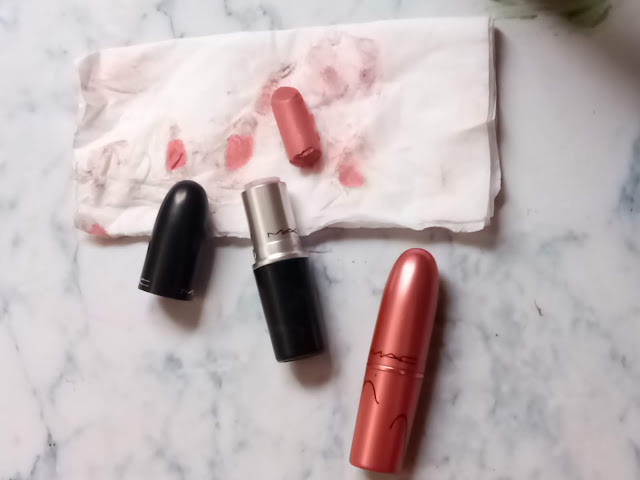 : HOW TO SWAPPING MAC LIPSTICK BULLETS! HOW TO SWAPPING MAC LIPSTICK BULLETS! TODAY I AM GOING TO SHARE A VERY INTERESTING VIDEO. WE ALWAYS LOVE TO BUY MAC LIMITED EDITION PACKAGING LIPSTICKS. 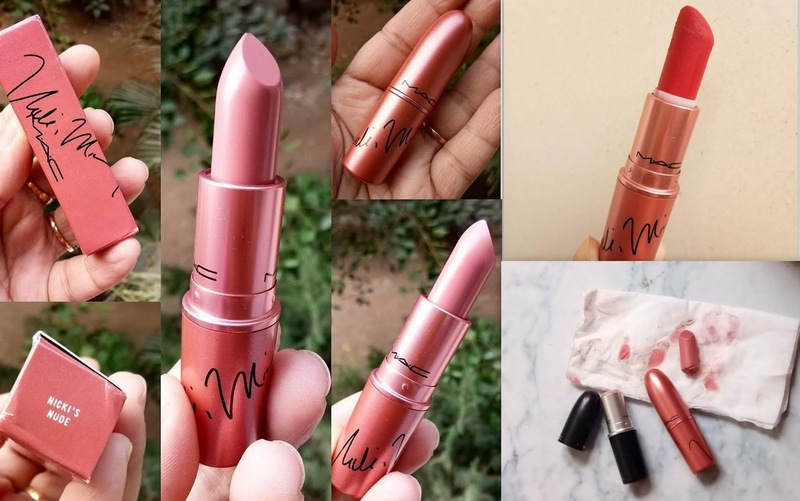 THE ONLY PROBLEM WE FACE WITH THESE MAC LIPSTICKS ARE SOMETIME WE USE THESE LIPSTICKS SO MUCH THAT EITHER IT ENDS OR SOMETIME WE WISH OUR FAVORITE MAC LIPSTICKS HAVE COMES UP IN THAT LIMITED EDITION PACKAGING. SO TODAY I AM GOING TO SHOW YOU A TRICK BY WHICH YOU CAN NOW TRANSFER YOUR FAVORITE MAC LIPSTICK IN ANY MAC LIMITED EDITION PACKAGING. 1. FIRST OF ALL, CHOOSE TWO MAC LIPSTICKS THAT YOU WANT TO SWAP THE BULLET. THEN KEEP BOTH LIPSTICK IN FREEZER AT LEAST 24 HOURS BEFORE YOU DO SWAPPING. I SKIP THAT AS I WASHED MY HANDS PROPERLY AND SANITIZED IT BEFORE I START DOING THIS PROCESS. AS I SKIPPED GLOVES SO I TOOK A CLEAN TISSUE PAPER TO TAKE OUT THE BULLET. 5. YOU CAN SEE MAC LIPSTICK CASE HAS SOME LINES IN THE CASE AND THE SO THE LIPSTICK HAVE SOME LINE MARKS ON THE BULLET. ALL YOU HAVE TO DO NOW JUST PUT THE LIPSTICK INSIDE THE CASE IN SUCH A WAY THAT THE LINE MARK ON BULLET SITS EXACTLY ON THE SAME PLACE WHERE THE LINES ARE IN THE CASE...AND GENTLY PUSH IT BACK. 7. NEXT, IF YOU WANT TO PUT THE OTHER BULLET ON THE SECOND CASE YOU CAN DO IT IN SAME WAY. BUT HERE I AM GOING TO MELT THE SHADE AND PUT IT IN A LIP POT, WHEREAS THESE EMPTY LIPSTICK CASE IS GOING TO BACK TO MAC. SO THAT'S ALL FOR TODAY. DON'T FORGET TO SUBSCRIBE TO CHANNEL TO SEE MORE VIDEOS LIKE THIS. AND IF YOU TRY THIS TRICK THEN TAG ME IN YOUR LIPSTICK SWAPPING PIC, AS I WOULD LOVE TO SEE YOURS TOO.